Truly our very best piece of equipment and built with industry leaders in mind. We burnt the midnight oil incorporating as many of the special options one would think of at this level of processing. The Model 400 is made to order and shipped as a complete system. The Prawnto Model 300 is the work horse with flexibility and return on investment at its core. 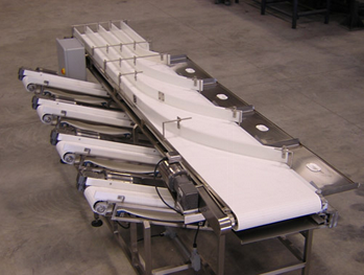 This is our entry level processing system, but don't let that fool you when it comes to speed, it will produce 21,000 pieces per hour with a four station system using a gravity flume to collect the processed shrimp. This Prawnto System ships on a single pallet.